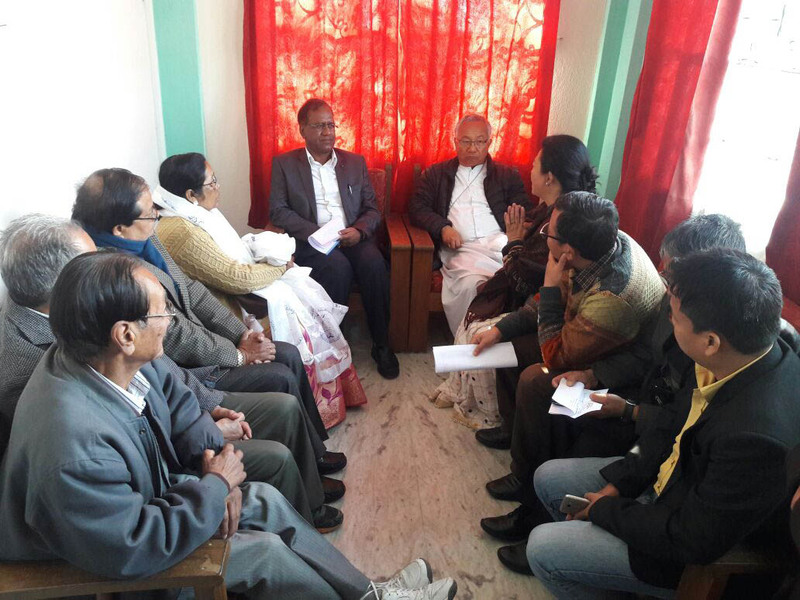 The Christian community of the hills,under the aegis of the All Christian Minority Association (ACMA), has submitted a memorandum to state tribal welfare minister James Kujur demanding a separate development/ welfare board for Christian minorities. Jyotima Subba, coordinator of ACMA, said the community members had learnt that the state government was forming a Pahari Minority Development Board, but we want a separate board for the Christian community. She added that the decision for their exclusion was taken in their meeting of executive committee members of the ACMA on 3rd January. She said the association is the largest organization of the Christians, which includes all the denomination that has and always will support the government. Meanwhile MIC James Kujur, who arrived here to attend a youth convention organised by Darjeeling Diocese Diocesis, which entered its third day today. Over 800 youths from Sikkim, Darjeeling, Nepal and Bhutan participated in the convention. 0 Respones to "Christian community meets tribal welfare minister, demands separate welfare board"